Imagine fueling your car whilst bypassing the oil companies and being more environmentally frendly at the same time. Sound too good to be true. 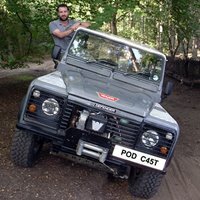 In this podcast we meet the guy who can make it happen. 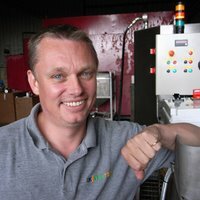 Mark Sear is one of the first few to take biodiesel production out of it’s underground hiding place and into the light of a brighter cheaper and ultimately greener future. Yeah Christian, the wait is over! Your new episode is not only finally here, it’s also great. BioDiesel is the future and there is some momentum in my town towards it. In fact, Meg of Wake Up AM uses it when she can get it. I am going to take your episode and present it to the mayor here in Portsmouth. He’s a great guy and GETS IT. Our town is already looking into sustainable community strategies and your podcast helps more clearly define the role biodiesel has to play. Also, it’s just great to hear that awesome stereo field recorder back in action. And those US guys you interviewed along with Mark’s prediction of a green America is hopeful in an otherwise bleak forecast in other areas. Enjoy that Land Rover, What fragrance will you be spreading? Great podcast and a lovely song at the end. Thank you. Loved this episode, very interesting. While I don’t share Mr. Sear’s faith in the “free-market” to spread energy efficiency and alternative fuels, I still greatly admire what he’s doing. And yes, the tax sounds like absolute crap. Finally finished it, great podcast. You’re doing important work C! Keep it up and look forward to hearing more about all this. You guys are way ahead of us in this, that’s for sure, although those American guys at the end give me some hope. I hope they get this bio heating fuel off the ground too, I can’t afford to stay warm in the winter anymore.